The founders of pursecase (pictured in middle) wanted a more<br /> convenient way to go out with just a smartphone and the essentials. While device makers remain focused on manufacturing new shiny objects, they've left a hole in the market when it comes to fabricating products for toting around technology -- a gap entrepreneurs are all too eager to fill. Some ventures, including Scottevest, which produces vests, jackets, pants and clothes with a plethora of pockets for gadgets, create storage spaces that are just deep enough for any brand of phone or tablet. "There's not a lot of room for error," says Scott Jordan, Scottevest's CEO and co-founder who's in his late 40s. Still, following in Scottevest's footprints hasn't been easy. From keeping up with demand to finding a likeminded manufacturer, the challenges of launching similar tech-fashion garb have been pronounced for several young entrepreneurs. Nicole Kelner, a student at Penn State University, says a key challenge with her company is keeping up with demand. Keep up, don't catch up. Sick of digging around in a purse or bag for your phone only to find that no one text messaged you? 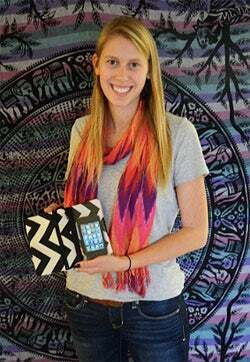 So was Nicole Kelner, the 19-year-old Penn State University student who, fed up with countless wasted searches, launched a line of "SmartPurses" to address the problem. Last March, she launched a shop through the online marketplace Etsy to sell items from her line, which uses water-resistant plastic -- allowing purse owners to text and make calls while their phones sit securely inside. Though Kelner has so far only made around 300 purses, which sell for $50 to $65 a pop, she has sold nearly 75 percent of them. She was also recently featured in Vogue in the United Kingdom. So what's Kelner's biggest business issue at present? "I am working on a strategic plan to make sure I can handle the demand from Vogue," says Kelner, who plans to turn her creations into a full-fledged startup by the time she graduates. Next step: find a company to manufacture a sample of her merchandise and secure a quote for mass-production costs. 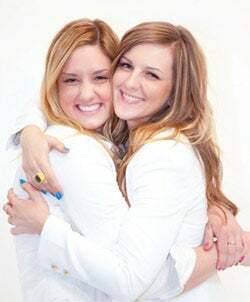 Founders Kelley Coughlan (left) and Jenn Deese (right) were frustrated by the slow pace of finding a manufacturer for their iPhone purses. Perfecting a prototype takes time -- much longer than Kelley Coughlan and Jenn Deese expected. 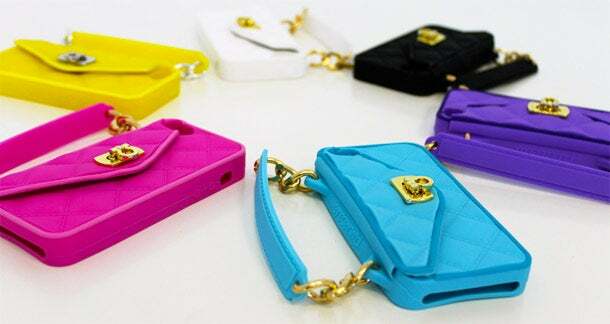 These 25-year-olds, who are based in Los Angeles and co-founded the boutique public relations firm Melrose PR, are now launching "pursecase," an iPhone case that slips around the wrist like a bracelet and doubles as a mini-purse for holding a credit card and ID. (The ladies found that their once-trusty carryall handbags became a "Bermuda triangle" for cellphones). Coughlan and Deese have found private investors willing to financially back their venture, and they've met with fashion bloggers and magazine editors keen to feature their designs. But they've been waiting months to finalize their prototypes. "We've started marketing, but we're holding it back a little bit because we don't want to go full-blast until we have the final sample," says Coughlan. They had initially delayed plans to launch a Kickstarter campaign earlier this year but then did so in February, and successfully surpassed their $35,000 goal. Other treps are remaining focused on a niche market, where they can more easily control production demands. JQ Crimaldi, a 19-year-old at DePaul University in Chicago, launched LoopyQ last year to sell "peculiar pouches for peculiar people" at music festivals and online. Her line of suede neck pouches, many of which include beaded tassels, keeps a smartphone near the chest rather than lost amid the festival shuffle. Sales have aligned with her first-year expectations, even though she knows the pouches aren't for everyone. Ok, so this next device-centric accessories maker isn't young per se. But STM Bags has some key lessons for young treps. To this 15-year-old company, information is pivotal. STM Bags sells around 150 satchels, backpacks and sleeves for storing digital devices. To stay ahead of the curve, employees at STM Bags scrutinize gadget blogs for leaked specs of forthcoming cellphones and use the dimensions to help design new prototypes of bags. Workers at the company's Poway, Calif., office then eagerly await word from colleagues who stand in lines outside of tech retailers near the company's headquarters in Sydney. That's where employees, alongside Apple and Samsung fanboys, can sometimes grab a new iPhone or Samsung Galaxy S mobile a full day in advance of U.S. customers. Once obtained, the device gets slipped into a prototype bag's pocket. The fit must be snug enough that a phone doesn't slip out, but not too tight, either -- which would frustrate customers. "If it works, we quickly build and ship. If not, we quickly redesign," says Adam Ziegelman, vice president of STM Bags. "Even 24 hours is a big deal." What production or marketing lessons have you learned along the way that might help an aspiring entrepreneur? Let us know with a comment.